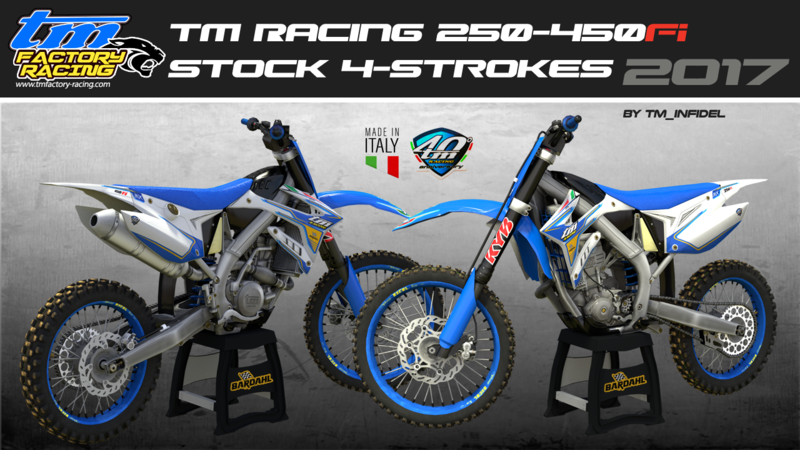 TM Racing (40th Anniversary Year) have become world renowned for the performance, quality and high end specifications of their competition machines which are made from components manufactured from some of the best materials and material grades known to the engineering and manufacturing industry. Most of these components are designed and manufactured in house at the TM Racing factory by their incredible workforce of highly skilled craftsmen and engineers using the latest manufacturing machinery and technologies. TM Racing take enormous pride in this accomplishment and thrive on their passion to create motorcycles of exceptional performance, exceptional quality and beauty whilst still retaining the ability to produce the jewels of engineering for all to cherish. Credits: Jre, p2sta, G-D Designs. render setup should look familiar GD. appearances/areodynamics change on most brands after 2-3 years so its prolly due in '18. If you seek change don't worry soon weapons like these will be common complete with whirring battery powerbands.